Home Coffee Production & Farming Roaster Guide: Why Is Green Bean Moisture Content Important? Green bean moisture content might not sound exciting, but it is of key importance for good-quality coffee. 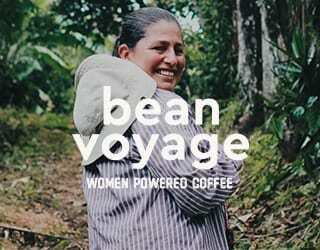 It affects how a coffee tastes, how it roasts, and even how much the producer gets paid. Let’s take an in-depth look at what it means for roasters and producers. Spanish Version: Guía del Tostador: ¿Por Qué es Importante El Contenido de Humedad del Grano Verde? How Much Moisture Is Acceptable? Although green coffee beans that are ready for roasting may feel dry, they still contain moisture. Any amount of liquid diffused in small quantities within a solid counts towards moisture content. A typical, unprocessed, ripe coffee bean should contain roughly 45–55% moisture after picking. Processing and drying will then take its moisture content down to 10–12%. 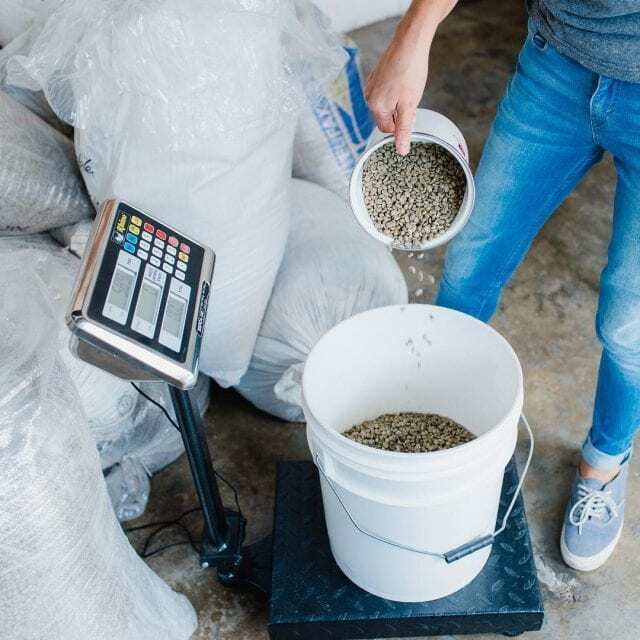 One method of processing coffee includes ‘re-wetting’ the beans: however, this will never result in a higher moisture content as they still have to be dried out before being bagged. 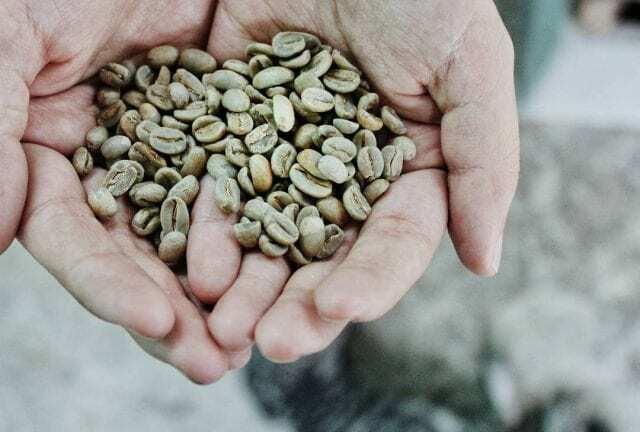 The International Coffee Organization states that dried green coffee beans should have a moisture content of 8 to 12.5%, with the exception of “speciality coffees that traditionally have a high moisture content, e.g. Indian Monsooned coffees” (Resolutions 407, 420). However, that doesn’t mean a moisture content of 9% is a good percentage for specialty coffee. 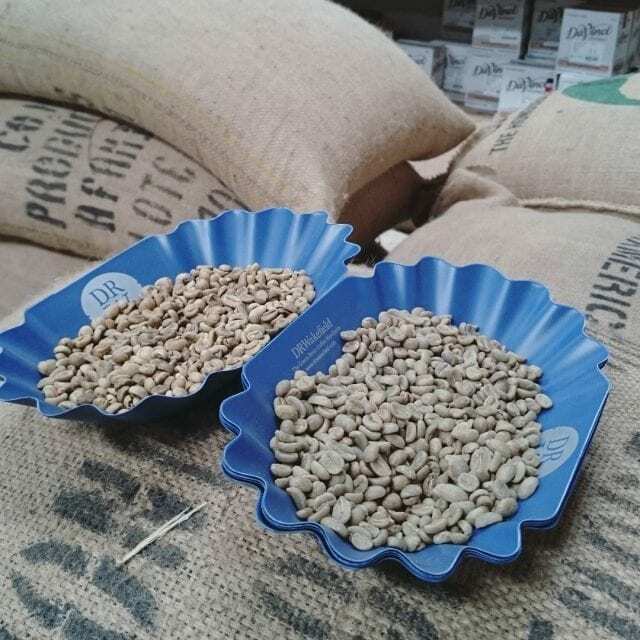 Good levels of moisture content allow for high cupping scores, balanced acidities, and great aroma. There’s debate over the best moisture level, but 10–12% is generally accepted. I (along with many others) prefer 12%, while the International Trade Centre recommends that producers aim for 11%. Regardless of the final percentage, if humidity is stable, the coffee beans will retain that moisture until roasting. Certain climatic changes during transit could cause further moisture loss. However, there is no real threat unless condensed water droplets begin to fall on the bagged coffee. 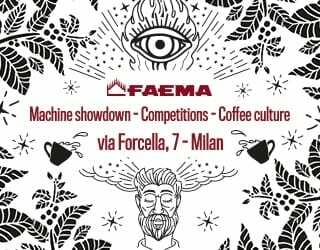 This is unfortunately beyond anyone’s control, although more technology and funding are being invested in this vital stage of the coffee trade. Coffee cherries have a tendency to ripen unevenly. On most specialty farms, the crops will be inspected at multiple points during the harvest and picked only when ripe. This means that not all the beans will be at the same stage of drying. It’s important that farmers label each batch of coffee, and monitor moisture content to avoid mixing batches with different percentages. This could cause the beans to roast inconsistently, in which case a roaster might choose to not buy that coffee again. 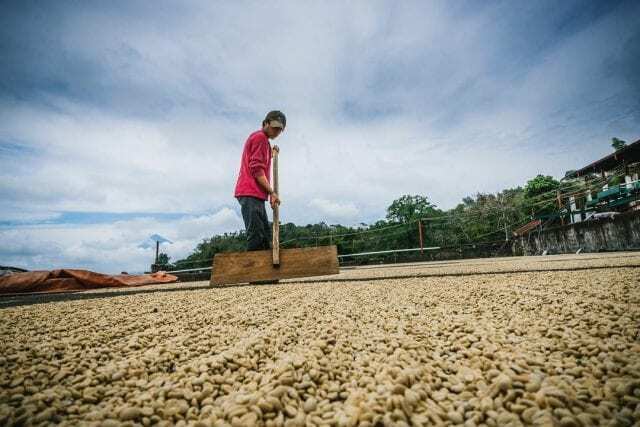 There are many different ways to dry coffee: mechanical dryers, patios, tarpaulin, raised beds… In the perfect climate, raised beds will allow for airflow around the coffee. In turn, this can help to avoid fermentation and prevent mould. Yet while raised beds are generally preferred, patios can offer an advantage in lower temperatures. This is because heat from the ground will also help the coffee to dry. Raking and agitating becomes even more important on patios because there is no airflow. However, no matter the drying method, regular raking is important for quality. During the later stages of drying, I also recommend that moisture content readings are taken every hour. As we said before, only beans with a moisture content of 12.5% or less should be traded. With coffee being traded in weight, moisture plays a sensitive role in how much money can be made from one sack. Any breach of this standard will have an effect in the future. A broker who feels that the moisture content of a shipment is too high may cut ties with the plantation. There is also a hygiene concern. Fungus and mould can grow when too much moisture is present. Mouldy beans are also known as stinkers, and these defects can ruin an entire roast. A supposedly premium AA-grade Arabica could come at an expensive price, only to taste foul due to under-drying. Clean and efficient storage of coffee should reduce the risk of mould. However, to eliminate it entirely, dry the beans out properly. Like with under-drying, over-drying can have profound effects on cost. The farmers will have to pack more beans into each sack in order to make up for the loss in weight. Therefore, in larger plantations, the farmer may lose an entire sack’s worth of coffee from poor drying methods. As moisture can be lost during transit, farmers may over-pack the sacks anyway. This is both a courteous gesture and done to help procure the sale of more sacks in the future. 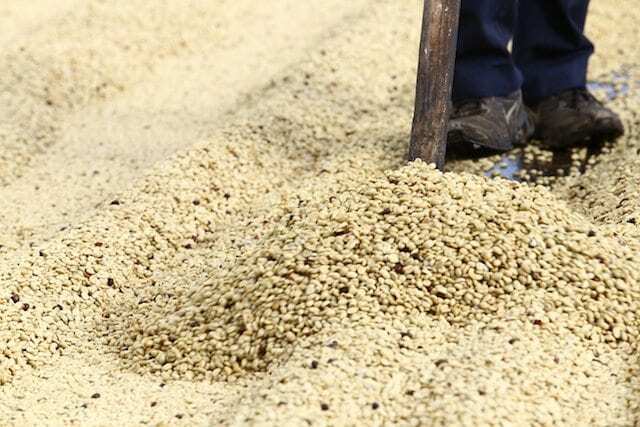 Over-drying also affects the quality and taste of coffee. At 9% moisture, you can expect a loss in aroma, freshness, and clarity. If the moisture content drops below 8%, then the roasted bean would contain hardly any flavour at all. As we said above, coffee below 8% should not be shipped. Moisture content is also crucial when the coffee is being roasted. Since water conducts heat, the moisture in the bean provides a pathway for the heat to transfer to the centre of the bean. With too little moisture, the beans roast too quickly on the outside and the inner is left raw – creating grassy flavours. 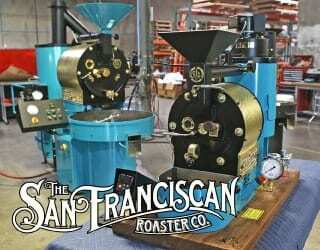 The temperature of the roaster can be adjusted. However, a slow roasting process can draw out baked flavours. This is equally undesirable. When it comes to specialty coffee, no detail is too small. Moisture content can have a profound impact on how a coffee roasts and tastes. Follow best practices to ensure your coffee is of the highest quality. Written by Tom Pashley, Head of Barista Training at Adams + Russell Coffee Roasters.